We’re pleased to be starting the year by giving away a family ticket to The Scramble Experience at the National Memorial to the Few, Capel-le-Ferne, Kent. All current members of the RAF Memorial Flight Club have been automatically entered into this month’s ballot. If you’re not already a member, please join the Club before 1 February 2018. As well as being entered into this month’s prize draw, you’ll also receive a Club membership pack. The pack contains detailed information about the BBMF and exclusive gifts including a BBMF pin badge, car sticker and wallplanner. Members can also claim free aircraft hangar tours at the BBMF Visitor Centre and will receive our Club magazine, published twice a year. The Scramble Experience is a hands-on attraction that uses audio-visual effects, a video wall and other special techniques to bring the Battle of Britain to life and show something of what it was like for the Few in the summer and early autumn of 1940. 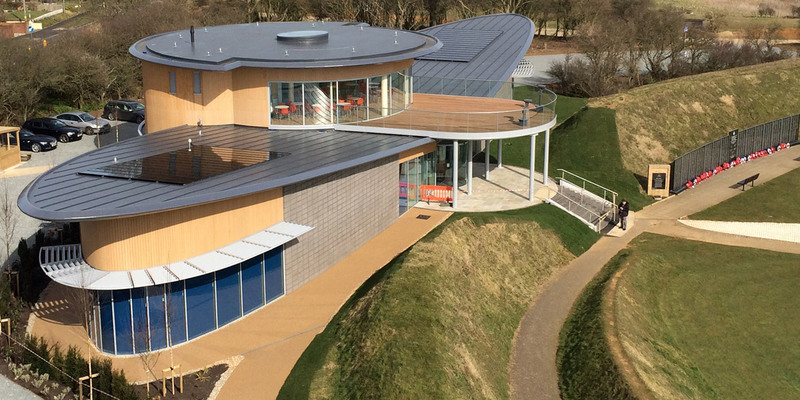 The experience is housed in a Spitfire wing-shaped building at the National Memorial to the Few, Capel-le-Ferne, Kent. It complements the other features of the site, including full-size replicas of a Spitfire and a Hurricane.